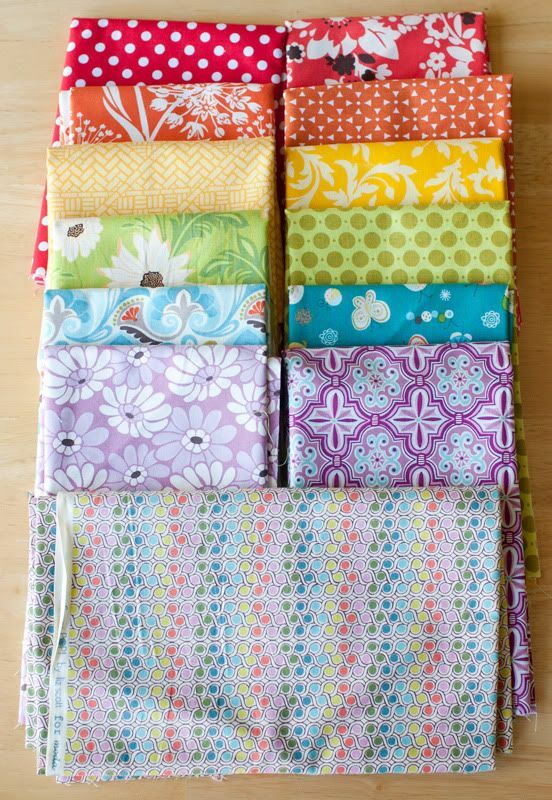 I've given in--I'm going to try quilting! 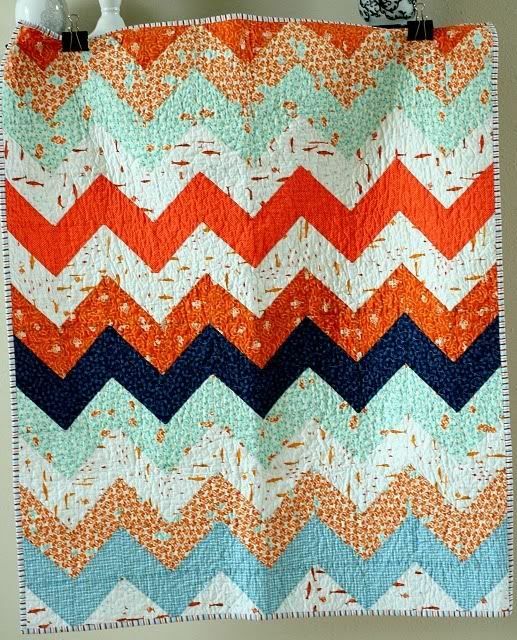 I've been collecting pictures of quilts I like over on Pinterest and I've decided to make a zigzag quilt using this tutorial from A Quilt Is Nice (which is a great blog by the way). 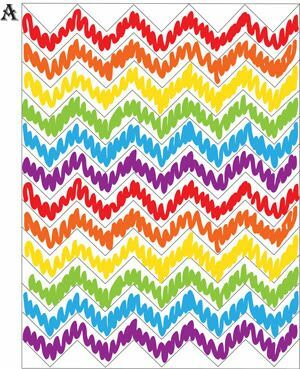 Nettie has made a couple rainbow quilts lately that I've really liked and I think this zigzag pattern would look great in a rainbow palette. So I went shopping with my friend Stephanie and picked out a rainbow of fabrics which was really fun. I'm still not sure about the orange on the right but we'll see. The bottom fabric is for the binding around the edge of the quilt. Now the question is which pattern should I use? 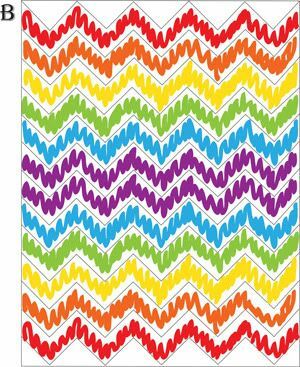 I have two fabrics in each color--should I repeat through the rainbow twice or should I arrange the colors in a mirror image? How about you--which do you prefer? Weigh in on the debate of the century!